On the eve of D-Day, a group of American paratroopers are dropped behind enemy lines to carry out a mission crucial to the invasion’s success, but as they approach their target, they begin to realize there is more going on in this Nazi-occupied village than a simple military operation. They find themselves fighting against supernatural forces, part of a Nazi experiment. From what we’ve heard so far, the supernatural force are zombies. Of course, you learn to take things with a grain of salt considering that this is a mystery box movie. 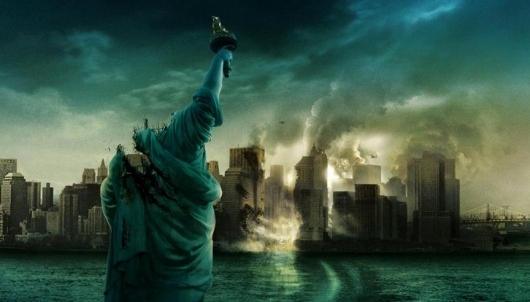 It’s still not clear though what God Particle‘s part was in the Cloverfield universe, or if the film was just scrapped entirely to make room for Overlord. We were actually supposed to get God Particle earlier this year, however, not only was the film’s release pushed back to October, Paramount pulled it off their scheduled release. So it’s not clear if Overlord is suppose to take its place. If that is the plan, then that is somewhat of a concern considering that they would have to start shooting now in order to make its release date. Still, we’ve seen these films work with a lot less and turn out to be critical hits. Or maybe Bad Robot and Paramount are just trying to throw us all off. We’ll just have to wait and see.